Florida’s spine: Bill Galvano’s priority of a major road infrastructure push in the ‘spine’ of the state is well on its way to becoming reality. Image via Colin Hackley. The Sierra Club and Florida Conservation Voters oppose the projects. 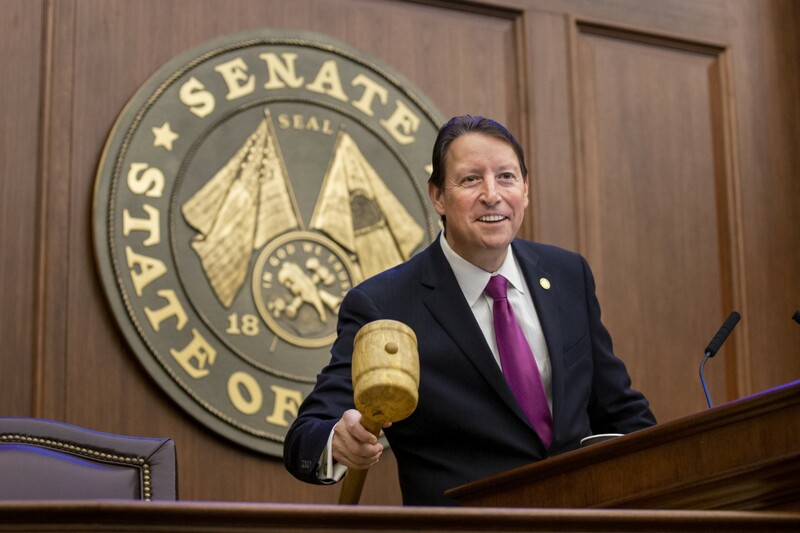 Senate President Bill Galvano’s plan to start saving budget dollars for major corridor projects and rural roadways is gaining traction in the House. The House Transportation and Tourism Appropriations Subcommittee advanced a bill Thursday that’s identical to the Senate version (SB 7068) — part of what Galvano, a Bradenton Republican, has identified as his vision for his first Session as Senate President. The legislation would require lawmakers to start stashing money for three major highway projects: extending the Tampa-area Suncoast Parkway to the Florida-Georgia line, connecting the northern terminus of the Florida Turnpike to the Suncoast Parkway, and constructing the Southwest-Central Florida Connector between Polk and Collier counties. Democrats on the House panel were concerned that money for the projects would be stripped from General Revenue (GR) before task forces — written into the legislation to study the viability of the plans — reported back to state leaders by summer 2020. “We’re already starting immediately next year to start moving money out of GR,” said state Rep. Matt Willhite, a Wellington Democrat. He and South Florida Democratic Reps. Barbara Watson and Bobby DuBose cast the only “no” votes. The legislation would use $45 million in the next fiscal year’s budget for a series of transportation trust funds. “I don’t think we need that much money to create a commission to do a study,” Willhite added. Each year, more money would be transferred out of General Revenue for the transportation trusts. By 2022, an estimated $100 million would be available for the three major corridor plans. Meanwhile, $32.5 million would be peppered across other funds, including the Small County Road Assistance Program, the Small County Outreach Program and the Transportation Disadvantaged Trust. The projects wouldn’t start until after reports from the task forces are turned in. The legislation mandates construction must begin before the end of 2022 and wrap within eight years. “This would be potentially viewed as a nest egg … we’re programming money for these projects obviously, depending on what comes out of these task forces,” said Committee Chair Jay Trumbull, a Panama City Republican. Aventura Democratic Rep. Joseph Geller supported the bill, suggesting confidence in the task forces the bill would create. Environmental groups like the Sierra Club and Florida Conservation Voters oppose the projects. Cullen also suggested there isn’t a need for the projects. But Amy Datz, speaking on behalf of the Environmental Caucus of Florida, supported the bill because she believes it will help curb air pollution. She suggested the transportation plans would take cars off U.S. 19, spanning south of Tampa up the Gulf Coast. She said stopped cars at traffic lights result in more air pollution on U.S. 19.